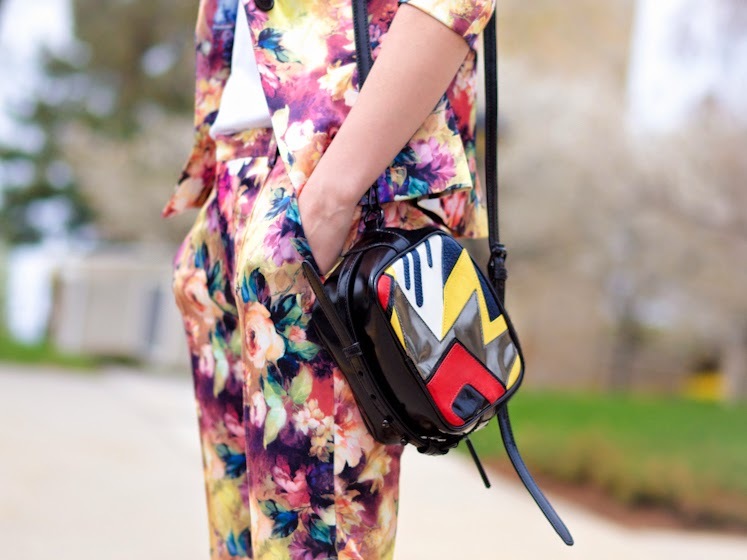 I told you a while ago that right now I am obsessed with floral prints... While I am looking to buy the perfect pair of floral pointers, I decided to wear something that I already own: This floral printed suit. This time I paired these bold pieces with a simple Adidas white T-shirt and burgundy heels. Somehow I am more interested in matching unexpected pieces and styles for an unexpected but not over the tap result. Love the matching suit, the floral print is lovely. It`s real flower power! Have a nice day! 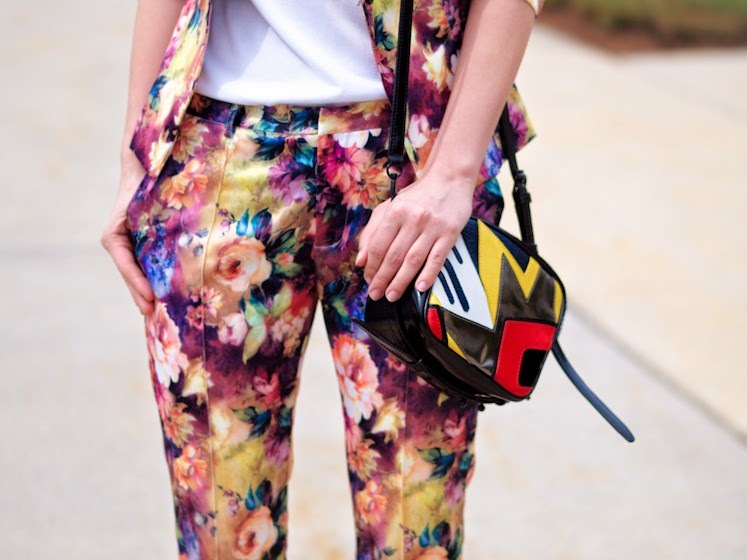 beautiful suit, I love floral prints for summer!